The sound insulation sheets we produce are state of the art. 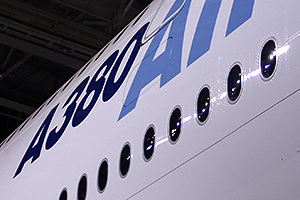 They meet the stringent requirements of the aerospace industry and are built into every Airbus model series, even in the A380. Furthermore, we offer sheets of business jet quality, available in a range of different tints. When it comes to Acrylics and Polycarbonate, our abilities are crystal clear, as well as our ideas and visions. Whether it be on land, in the sky or sea bound, our technology is something our customers can rely on. 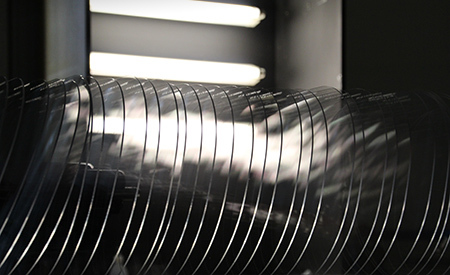 Our materials, Polycarbonate and Acrylic, are the basis of products which are used worldwide. We don't just offer you great products, we develop precise, innovative and efficient solutions and ideas. As a family-run company, we have really grown through our high stands. Now, 20 years since the company was established, we are proud of our pioneering developments within plastic processing, safety technology and aerospace. Since 2014 we have developed even further in terms of space and structure. We are thrilled that our present location in Gütersloh has contributed to this growth and our goal is that our efficiency and capacity continues to increase.